This entry was posted on February 2, 2015 at 9:26 am and is filed under Drama. You can follow any responses to this entry through the RSS 2.0 feed. You can leave a response, or trackback from your own site. just saw this today and really enjoyed it. 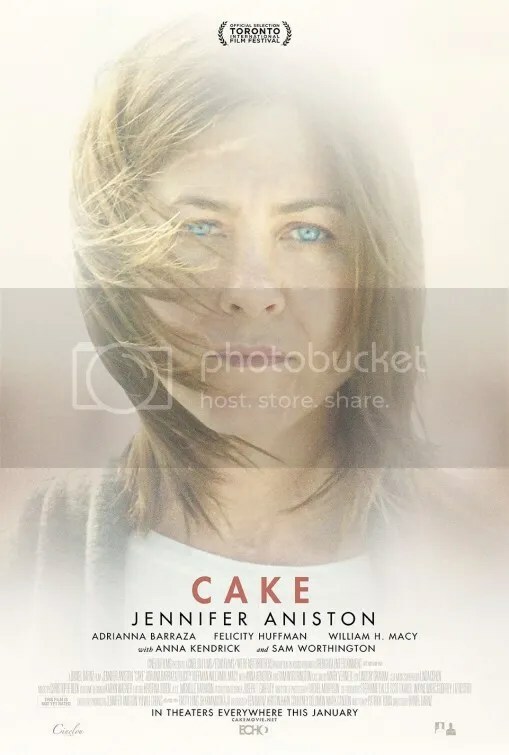 Aniston truly broke her standard mold with this film and I’m now actually surprised that she didnt get the nom for this. Not sure who she should bump out, but this is clearly a great performance. I try not to read review before I watch a movie for the very reason you listed above and I loved how they slowly gave us more and more info as the movie goes on instead of hitting us with a bang. I think both Marion Cotillard & Julianne Moore are great actresses nominated for so-so roles in their career. They’ve both been better. Cotillard was superior in The Immigrant which was also released to the public in 2014. Aniston’s work here is far more definitive. Moore is good but it’s a Lifetime TV movie. I can name 10 other films she’s made that are better than Still Alice. Reese Witherspoon should have been bumped out for Aniston’s (can’t believe I actually wrote that sentence!). Reese did a really good job, I just don’t think she deserved an Oscar nom. There were definitely better possibilities in this category. Good review Mark. It hardly goes anywhere. Same with Aniston’s performance, which is more or less just her grunting, swearing and looking mad. But seriously, the last scene hints that she is making progress. Claire is better off now than when we met her. From your Facebook posts, I expected 3.5 to 4 stars. I guess 3 would have been a more reasonable expectation. It sounds like your reaction here was similar to your reaction to The Iron Lady. Which is good enough for me. I was reacting to the negative critical reception. I don’t get the hostile reviews. I can’t say I’m overly enthusiastic about seeing this, Mark, but Aniston does sound interesting. I too thought she was great in The Good Girl. Fine review, sir! It’s more of a rental really, but I enjoyed it. Aniston is better than some of the actual Oscar nominees. Or why Amy Adams was snubbed as well. Considering this film has such a strong ensemble it certainly wastes a lot of them. Jennifer Aniston was very good, but I thought Adriana Barraza was much better and got more out of her performance. Anna Kendrick’s character was kind of annoying the way she popped up from time to time. This was Jennifer Aniston’s movie. She gave a moving performance. Your review echoes a lot of what I’ve heard about this film: a great performance by Aniston, but not an amazing movie overall. I do like hearing that it isn’t afraid to make it’s protagonist prickly and unlikable. I think more pictures need to do that. Cake is on my list, although admittedly not super high at the moment. I feel like I have other more important Best Picture-nominated fish to fry before Oscar night. I wanted to watch the Best Foreign film nominees. I saw Ida but the rest never played here. Oh well it’s Netflix I guess.